– The Ontario government announced its Food and Organic Waste Framework on April 30th. – The Framework actively encourages municipalities and other processors to collect compostable products and packaging as part of a commitment to ban organic waste from landfills. 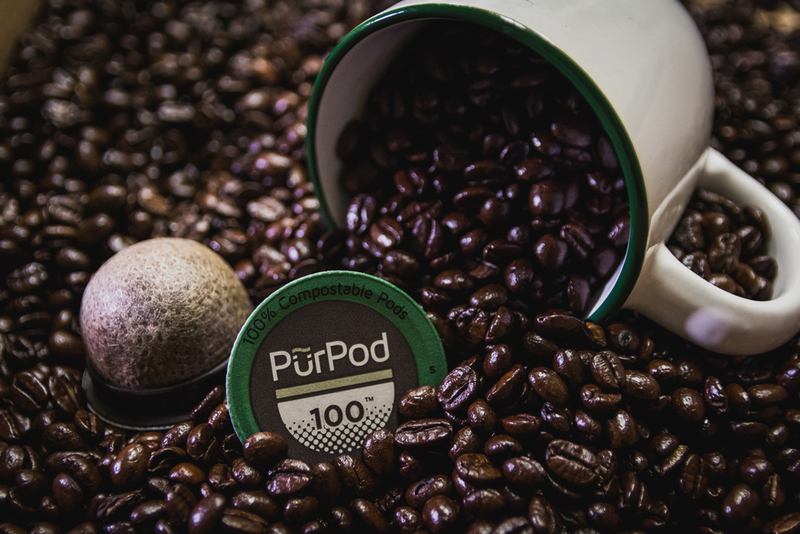 – It calls on producers to ensure that their compostable products are certified to meet recognized standards like the certification of Club Coffee’s PurPod 100™ single serve coffee pods from the Biodegradable Products Institute. – Offering incentives to municipalities to create or enhance organics collection programs and streamlining the approvals process for municipal compost facilities. – The initiative earned all-party support. – The motion from Progressive Conservative member Norm Miller follows on his 2017 bill that called for a ban on non-compostable pods in Ontario. – Liberal Jas Johal has a similar bill in the British Columbia Legislature. – The Compost Manufacturing Alliance (CMA) completed a successful test of PurPod 100™ in the New York City area with regional CMA partner We Care Organics. – This and previous testing confirm that the pods break down successfully in covered and windrow systems. – US composters are using the testing success to decide on accepting the pods in their food and organic waste collection programs. – CMA brings together major composting operators across America to provide real-world field tests of compostable products, adding credibility with composters using similar processes. – Results are expected to mirror evidence to date that indicates the pods break down to the City’s required standard. – As 90% of a used pod’s weight is coffee, diversion of this nitrogen-rich food from landfills supports achievement of Toronto’s waste diversion and greenhouse-gas targets.